The users using the Internet from their mobile devices is becoming higher and higher day by day. There are more users who open their Facebook accounts from their mobiles as compared to the ones opening Facebook on their Desktop computers. Google is aware of this fact and as always, it has announced another significant change in their algorithm which will result in higher rankings for the sites which are mobile friendly. This change should affect the mobile side of things but who know it will start affecting the sites which are not mobile friends and don’t have much mobile traffic. Starting April 21, Google will roll out another algorithm in Google Search which will rank mobile friendly sites higher than the ones which are not mobile friendly. According to Google, this change will be significant for all Google searches made from mobile devices in all languages. It is high time for all the webmasters who have stakes in Google search traffic and want to maintain or improve it to follow this algorithm change. The webmasters are advised to have a mobile friendly version of their sites when the sites are opened on a mobile device. If you are a WordPress user, chances are that you are using a responsive WordPress theme. 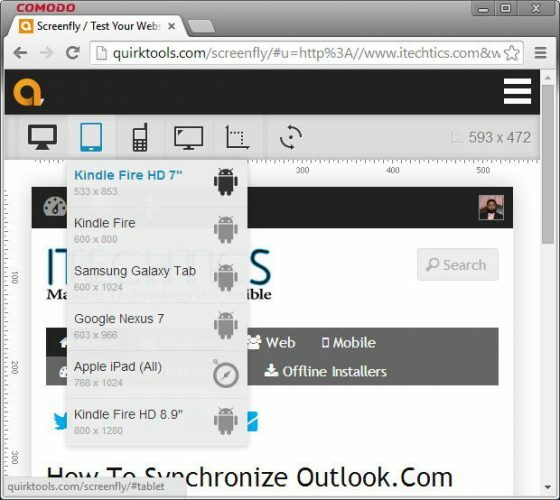 You can test your website on different devices by going to Screenfly. Just select the device on which you want to view your page and Screenfly will automatically adjust the dimensions according to that device. It is always recommended that you use a responsive theme instead of a mobile friendly plugin as your website look and feel will remain the same on all devices if you are using a responsive theme. My recommendation for themes is always using Themify themes. All the themify themes are responsive, mobile friendly, seo friendly and always being updated according to the latest standards. Second thing you need to do is to check what Google thinks about your website. 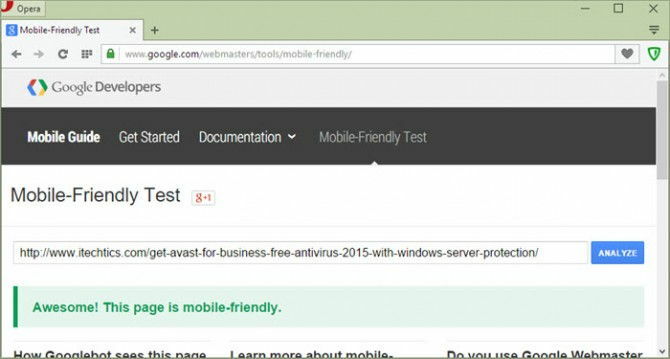 Go to Google’s mobile friendly test page and see if your site passes Google’s mobile friendly parameters. Do this test of few popular pages of your website to make sure that all the pages of your site are detected as mobile friendly. Last thing you need to do is to make sure that all the pages of your site are mobile friendly. For this, you will need help of Google Webmasters. 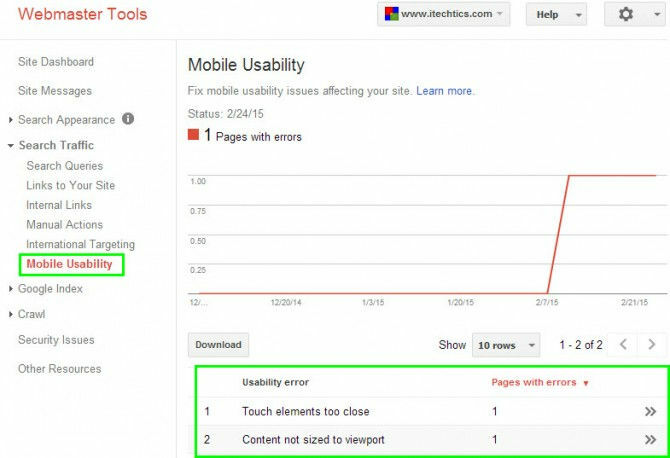 Open your Google Webmasters account and go to Search Traffic –> Mobile Usability. Make sure there are no pages with errors or warnings here. If there are any pages with error detected, Google Webmasters will give a reason why the page is not mobile friendly. Fix the error and it will automatically be removed from the error list on next crawl. I hope these tips will enable webmasters to prepare for the next update and fix everything before Google implements the update so that the sites are not affect by the algorithm update. One thing to note here is that Google will implement the algorithm changes on the indexed pages. So make all the changes to your site are indexed before April 21 so that the new changes have positive effect on your site. If you have any other suggestions, we would love to read them in the comments below. How To Get A New Blog Indexed In Google In 5 Minutes!